My dad used to make this fun dessert and he added peanuts and anything else that sounded good. It is our family favorite and my kids make it all the time. Prepare a 9X13 pan by greasing it or using cooking spray. In a large Sauce pan put corn syrup and sugar, turn on medium heat and let come to a boil, stir for a minute to dissolve sugar, turn off heat and add peanut butter. 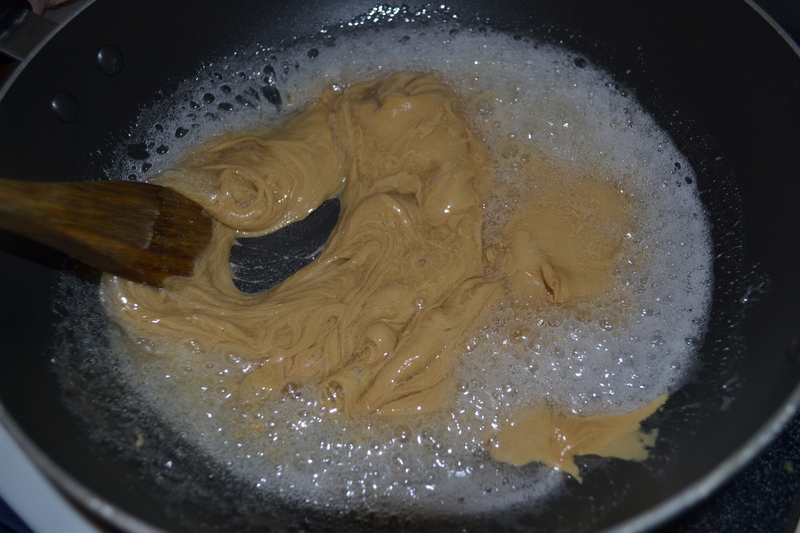 Stir well to incorporate peanut butter. Add cereal and candy and stir. 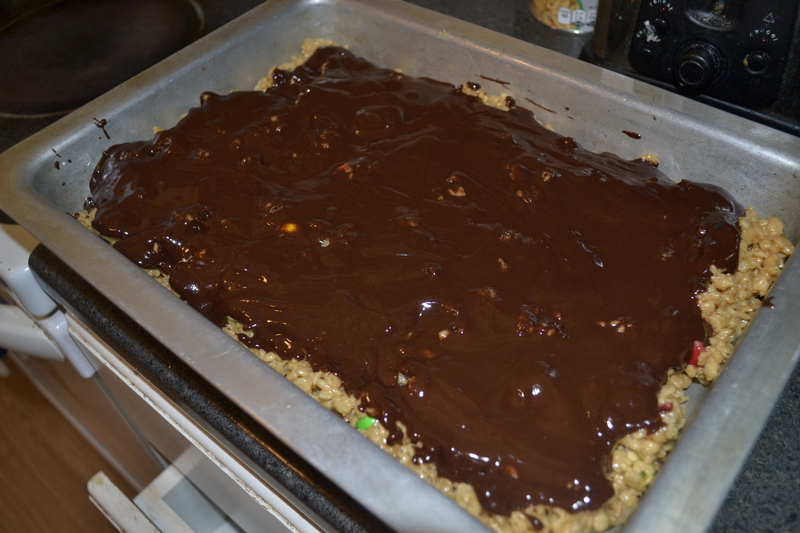 Immediately pour mixture into prepared pan. Do not delay or this mixture will get hard! Melt the Chocolate and butter and spread over the top. Let set and cut into squares. I was really intrigued by the name of this. 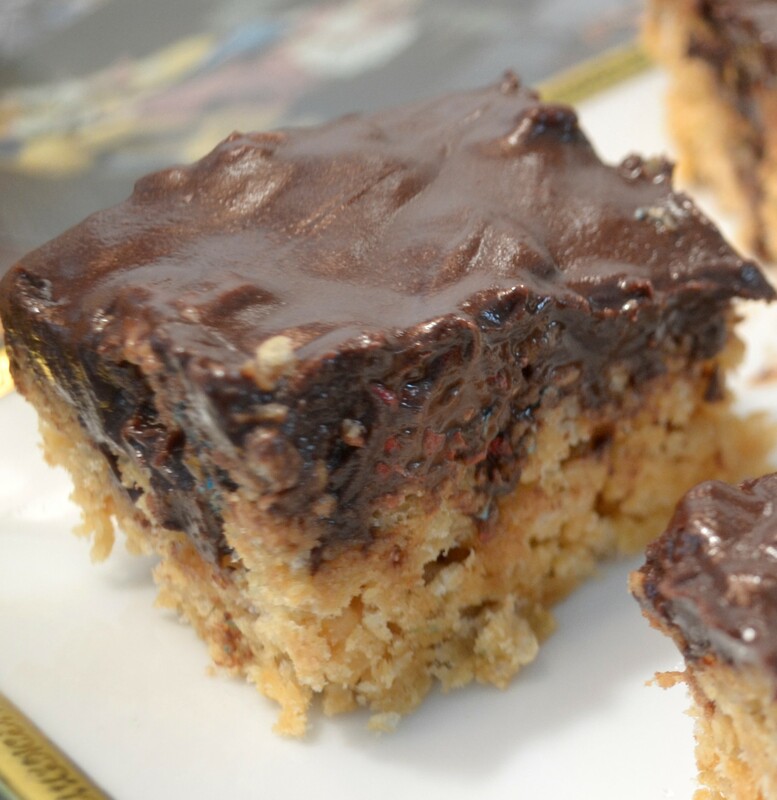 Great twist to a classic, using peanut butter! 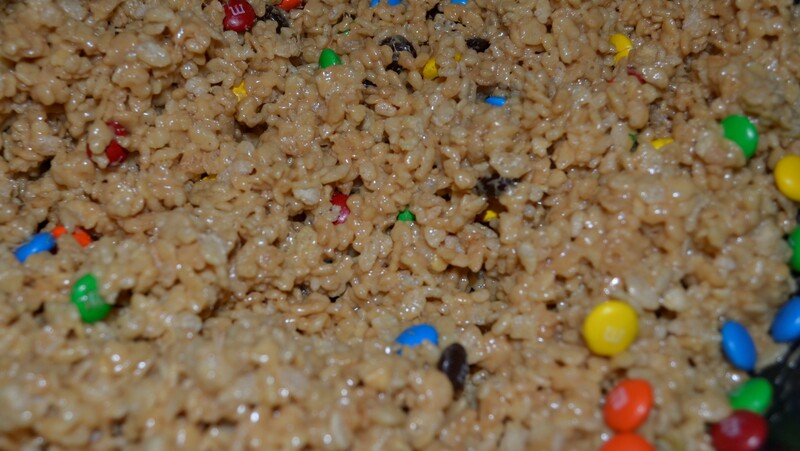 Yummy and easy to make too. yes a twist for sure!